These are the same Veal Rib Chops you would find featured in the greatest steakhouses across the land. Cut as a Frenched, bone - in chop, you'll find that these have a slightly sweet and delicate, yet distinctive taste since the flavor - enhancing bone is left in. 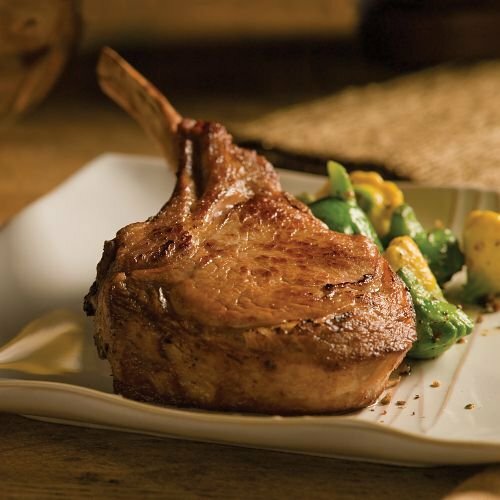 Juicy beyond belief, these extremely tender Veal Rib Chops are for guests you want to impress, elegant gifts you want remembered or just because you deserve the very best.